Are you ready to celebrate the creepiest night of the year? What are your plans for Halloween? I wish you a bewitching Halloween, filled with spooky treats and yummy treats! Stay safe and have fun! Io andrò a fare il giretto dei trick or treats assieme a mio figlio e ad una manica di ragazzini....pensami!!!!! I'm looking forward to Halloween. It's a fun night especially the Trick or Treat over here. Happy Halloween 👻. Oggi ho truccato Becky per il suo primo pary da Zombie!!! Domani invece sarà un fantasma!!! i thing Halloween is not for me, but i´m sure this is fun. But i like to see all the halloween Make-Up´s and Costumes. 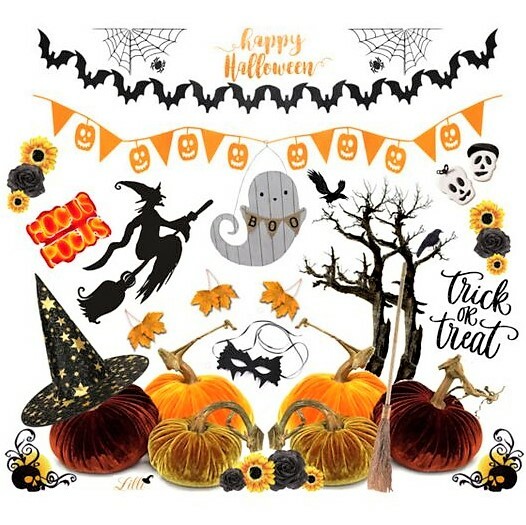 If there's something I like about Halloween night, we can characterize ourselves for a few hours, that's what I enjoy the most, or prepare a party for my children and nephews!